English article is the bottom. 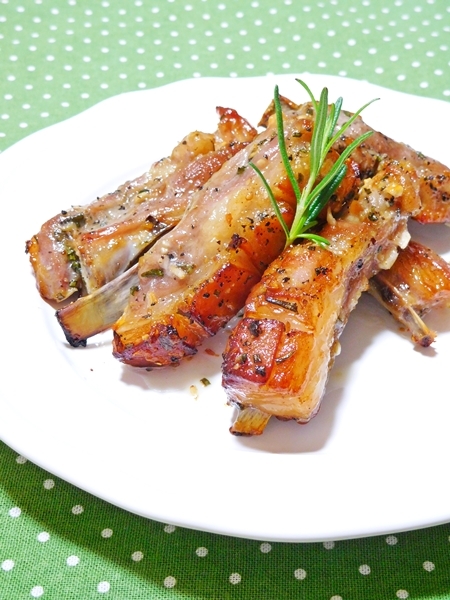 Today I will write the recipe of lamb Spareribs with honey and rosemary. 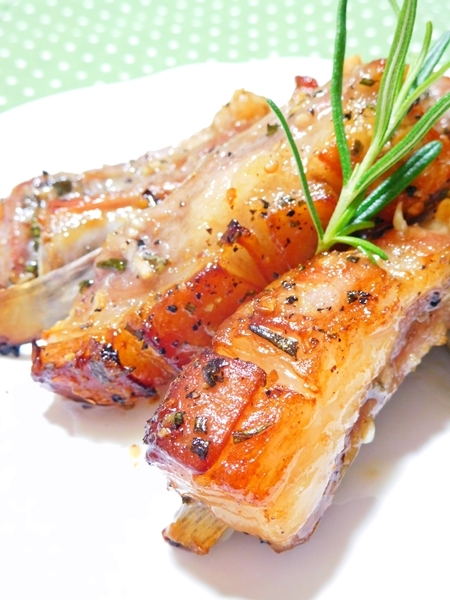 I have already published this recipe in Cook pad that substitute pork for lamb. Lamb is hardly eat in Japan. Many Japanese not used to eating lamb that don’t like it smell. Lamb has recently gotten popular in here, but, generally We have eating chicken, pork and beef. This recipe taste is great that sweetness of honey, fragrance of rosemary and garlic. also I recommend it at a BBQ ! 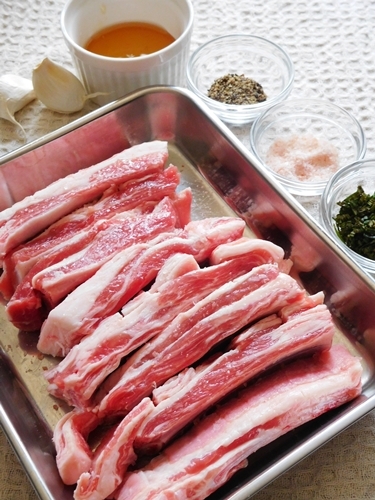 700-800 g lamb or pork spareribs. 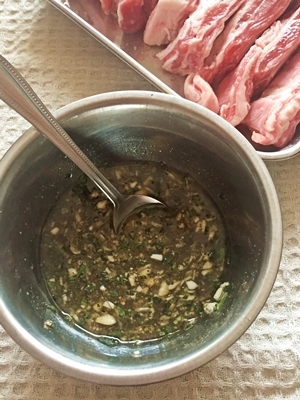 1: In a small bowl in the marinade sauce ingredients stir well. 2: In a plastic bag in the sauce and spareribs, tie the mouth of the plastic bag.